The Fresh Smart and Green Giveaway! Think Fresh, Smart and Green: Nugget Markets and Fresh Express are teaming up to give away some SMART prizes in our stores! 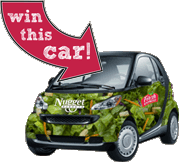 Enter to win one of two Smart cars or one of four $500 Nugget Markets gift cards. Winners will be drawn on November 11th, 2009. Get a free bag of Fresh Express Salad with this week’s featured coupon! Nugget Markets is partnering with Fresh Express to give away Fresh, Smart and Green stuff. Pick up your free bag of Iceberg Garden Salad today. 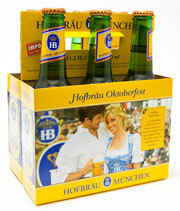 Celebrate fall with one of the five original Oktoberfest brews served at the annual Oktoberfest festival in Munich, Germany. On sale this week! 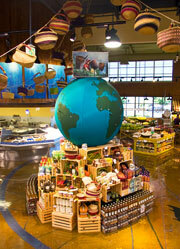 Visit our stores in October and help us celebrate Fair Trade month. Although we carry a wide variety of Fair Trade products all year long, in October look for displays of sustainable and Fair Trade certified products throughout our stores. In honor of Fair Trade month in October, why not try one of our favorite Fair Trade products: Everyday Shea butter from Alaffia. Formulated for daily use, Everyday Shea leaves skin soft and supple using unrefined shea butter enhanced with lemongrass and shea leaf extracts. This annual event is a hands-on, educational celebration that reconnects local communities with the farms and agricultural areas that grow and provide our food. This all-day, family-friendly event takes place at Full Belly Farm, an organic family farm, featuring tours, workshops, hayrides, food, music, and much more. It's a day to celebrate rural living, from 11 a.m. to 11 p.m. For ticket info and more information, please visit www.hoesdown.org. Capitol Family Fun Day encourages families to live active and healthy lives through interactive fun and games. On October 25, from 10 a.m. to 2 p.m. on the West Steps of the State Capitol, Nugget Markets will be there to support this year’s Fun Day as the Nutrition Zone sponsor. For more information, call (916) 734-9638. To find out about other events in your community, visit our events page. Prices valid 9/30/09 - 10/05/09. Fall is finally here! 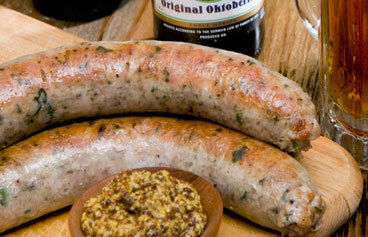 Celebrate with Nugget’s signature handcrafted Beer Bratwurst or traditional bratwurst, on sale this week for only $2.99/lb., save $2/lb. One of our favorite things about fall is that delicious pumpkin is back in season. 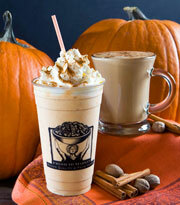 That means Nugget is full of delightful pumpkin goodies, including the popular pumpkin drinks in our juice bars! Each is made with real pumpkin pie filling; try a pumpkin latte, chai freeze, or even a pumpkin milkshake for an extra-special indulgence. What was that we were just saying about delicious pumpkin goodies in our stores? 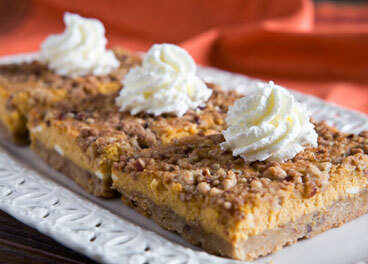 Pumpkin Bars are a Nugget Market bakery classic, made with a walnut shortbread crust topped with spiced pumpkin custard, cream cheese and walnut streusel. Yum! 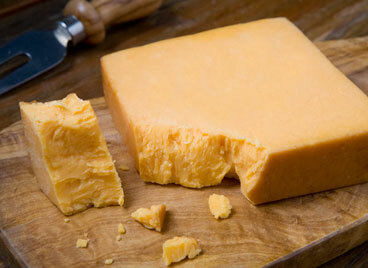 100 calories per one cup cooked with more than 100 percent of the daily value for Vitamin A as carotene. More potassium per serving than one banana, which helps maintain healthy blood pressure. A host of other nutrients such as fiber, Vitamin C and B vitamins make these veggies a must for your fall meals. The thick skin on these squashes allows them to keep for several weeks in a cool, dry place. Prep a squash for eating by carefully splitting it lengthwise with a sharp butcher-style knife and scooping out the seeds. Sprinkle the flesh side with salt and pepper and place the cut-side down on a foil-lined sheet. Bake at 350 degrees for 45 minutes. If you would rather cook the squash in the microwave, cut it into quarters and place it in a covered microwave-safe casserole dish. Zap it on high for 4 to 8 minutes. When cooked, the insides will scoop out like mashed potatoes. Spaghetti squash comes out like strands of ‘noodles’, which you can top as you would pasta. You can also skin the squash and cut it into 1.5-inch cubes, brush it with olive oil and grill on a skewer for several minutes.